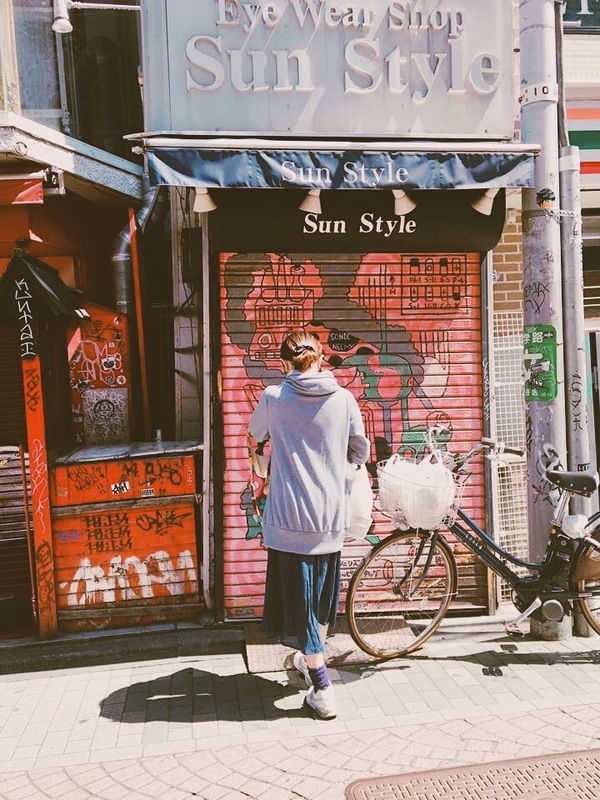 Missing Tokyo lately so I thought of writing about our last day in Tokyo. 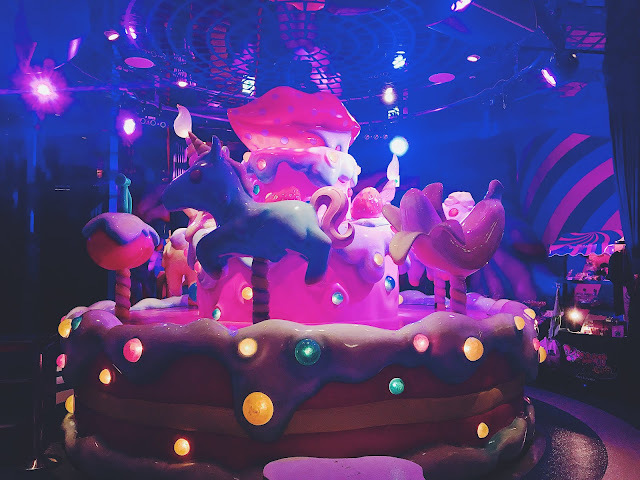 I've already written about our trip to Shibuya and Alice in Dancing Land restaurant, how our day went in Tokyo Disneyland, and the last leg of our Harajuku trip: KIDDY LAND toy store, I realized I really haven't blogged about Harajuku exactly, so here ya go! Warning, this will be long. 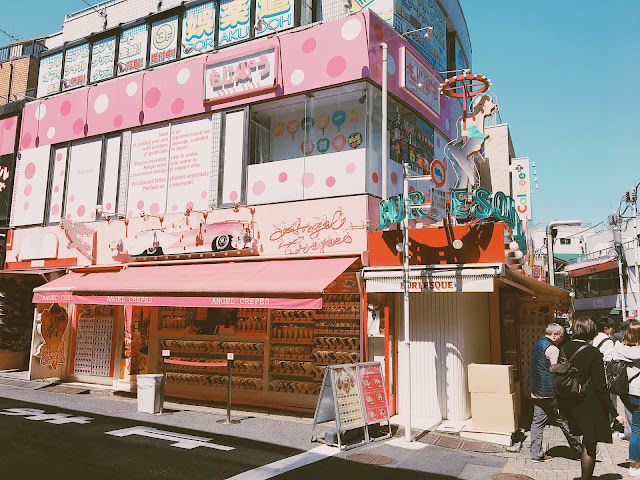 Being an ever-changing shopping mecca with new stores constantly springing up like mushrooms, keeping up with Harajuku can really be a tough job but it's the main reason why it's fun going there! Each visit is not the same. 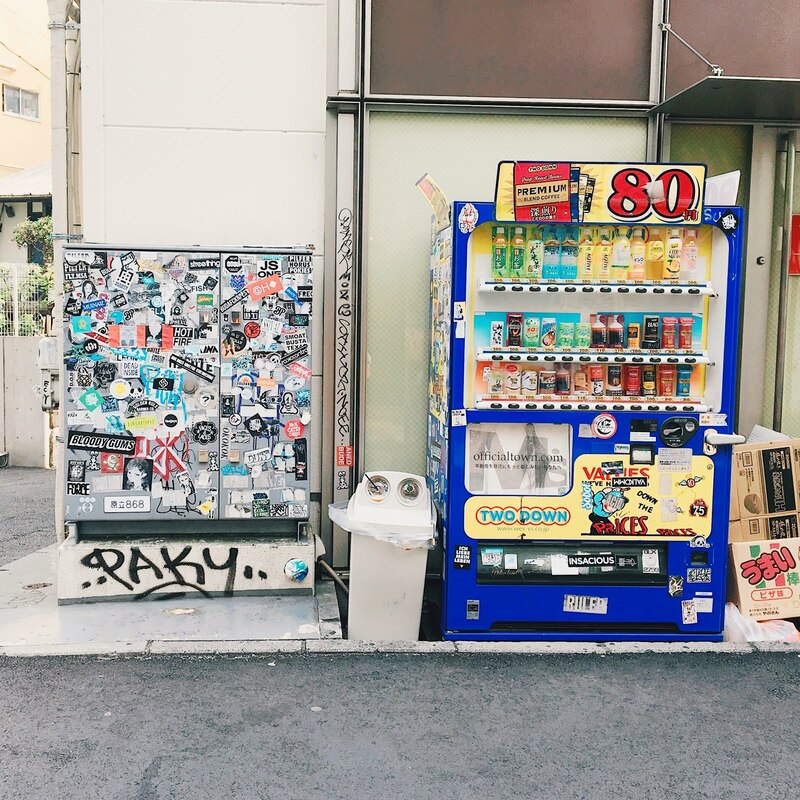 You get all the new and fresh dibs on trendy items each time you visit Tokyo. 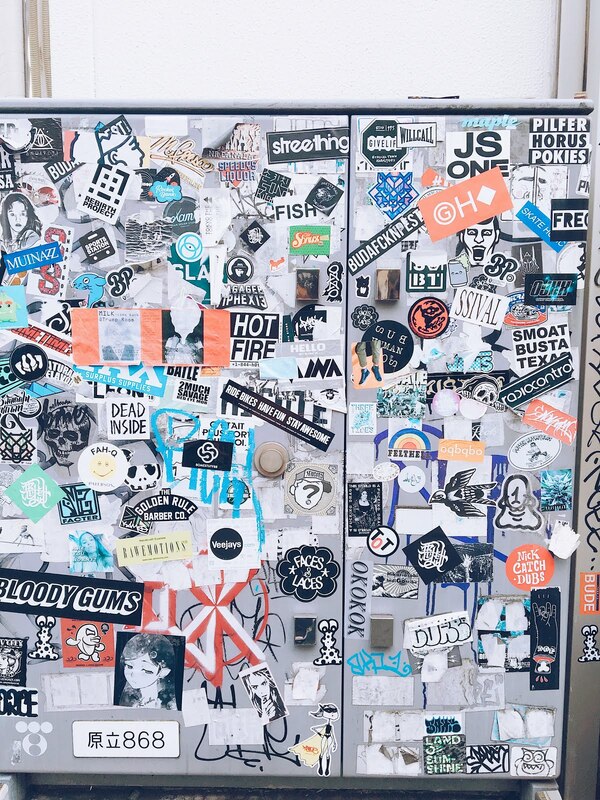 It's different during morning hours (closed stores meaning more creative graffiti to see, that is if you find them creative like I do haha) and it's even more lively during the night. If you're heading to Tokyo soon, here are the things to do in Harajuku to make the most of your visit! 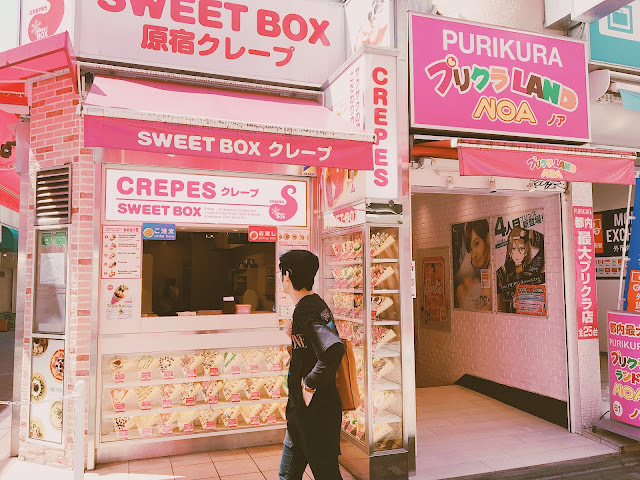 If I'm going to describe Takeshita Street in Harajuku using two words? It's gonna be "Pink" and "Crepes". 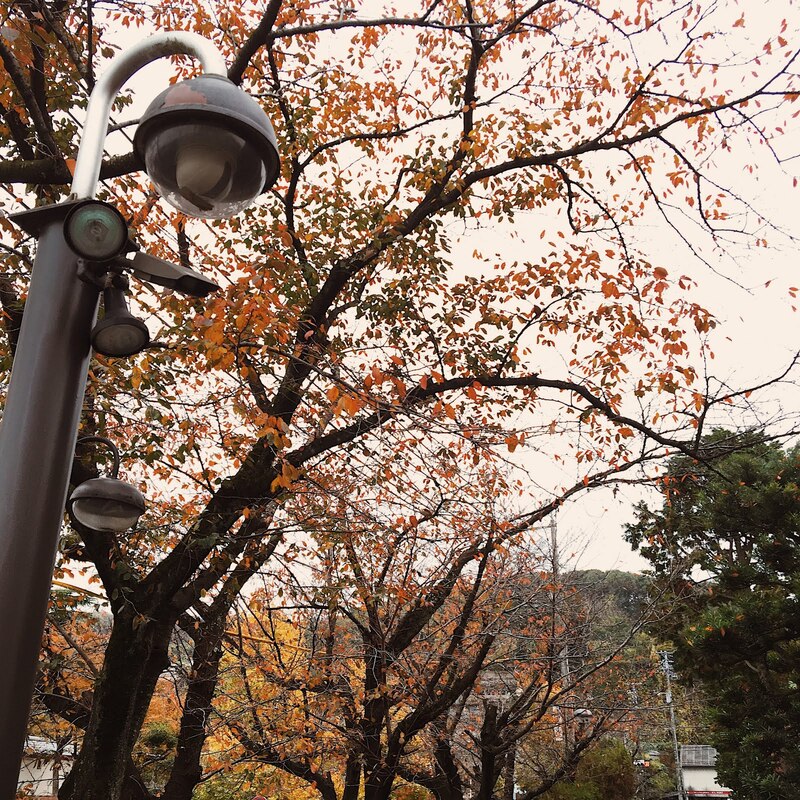 The first time I stepped foot in Takeshita street was during Spring when the weather was rather cool. Still, we were welcomed with so much crepe shops I could count. 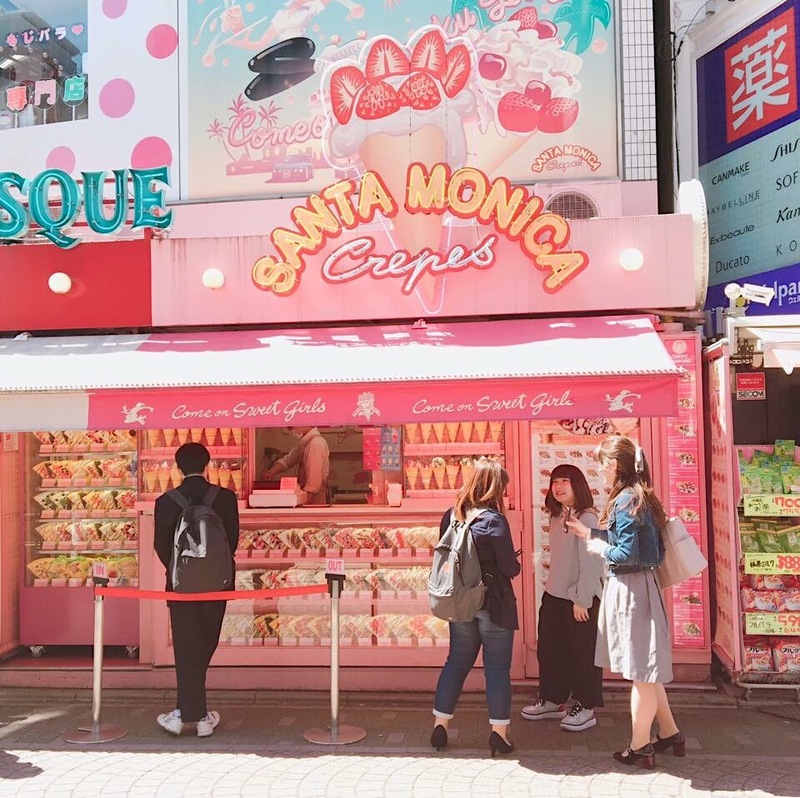 Filled with ice creams, chocolates, and ichigo, crepes in Harajuku is something you shouldn't miss. We arrived in Takeshita street in the morning. We were lucky to see Takeshita street at its most relaxed state where shops were still closed (most shops open at 11am), not so much tourists, and shops' doors down and painted with graffiti. 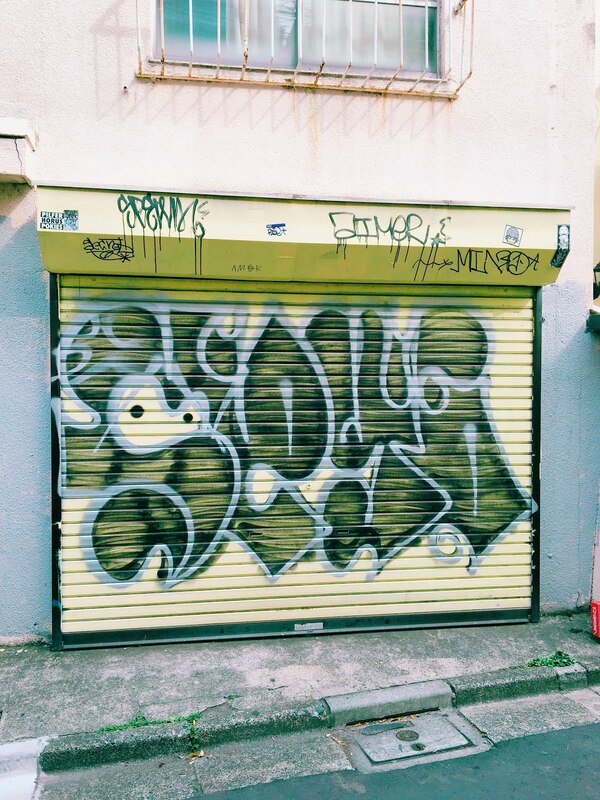 If you passed through Takeshita Street, there's a graffiti on a long wall near Jingumae. If you have the time, Barbie Harajuku and 6% DOKIDOKI are just in this shopping area as well. 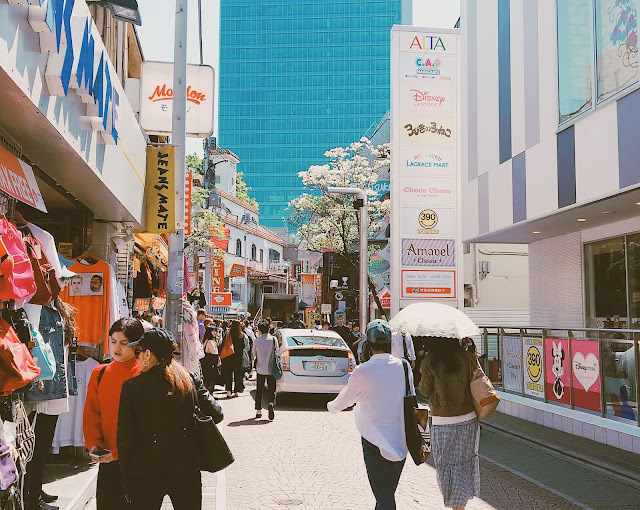 There are many independent brands and cafes around the area too, definitely a relaxing spot to rest at after Takeshita street. 3. Satisfy your sweeth tooth with giant rainbow cotton candy! 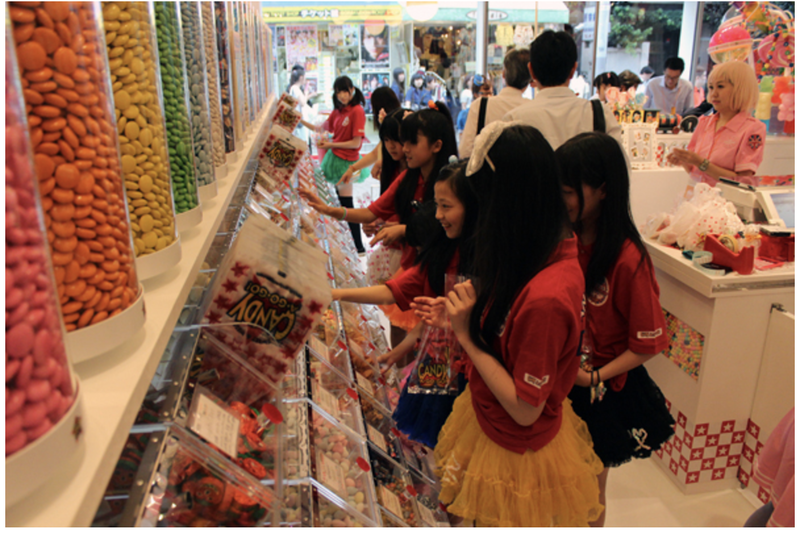 A trip to Takeshita street won't be complete without trying out sweet treats! 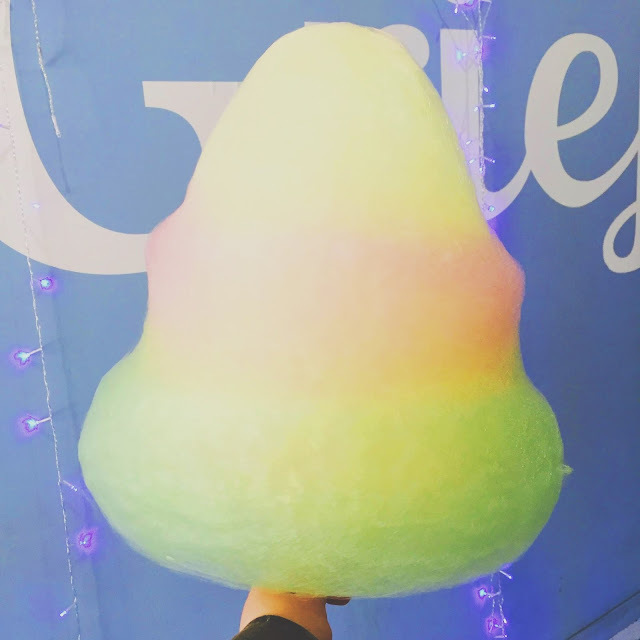 Aside from the crepes, Harajuku is also the home of giant rainbow cotton candies with each color tasting interestingly different and with a size that's even bigger than one's own head. Yep, that big! 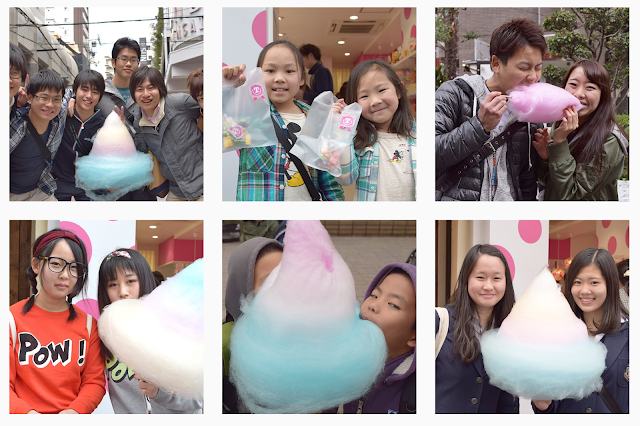 The most popular store that offers rainbow cotton candy is Totti Candy Factory with price ranging from ¥600-800. They also offer cake pops and candies. 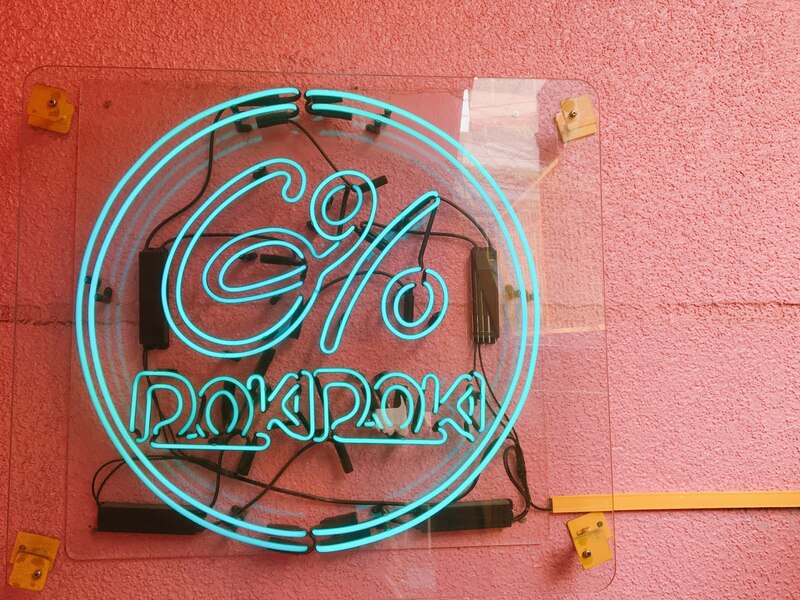 Literally a factory of anything but sweet treats! Luck was not in favor of us that day when we arrived in Takeshita street, Totti Candy Factory was still closed so we indulged ourselves with colorful cotton candy (still gigantic though) from Rainbow Mountain store instead. 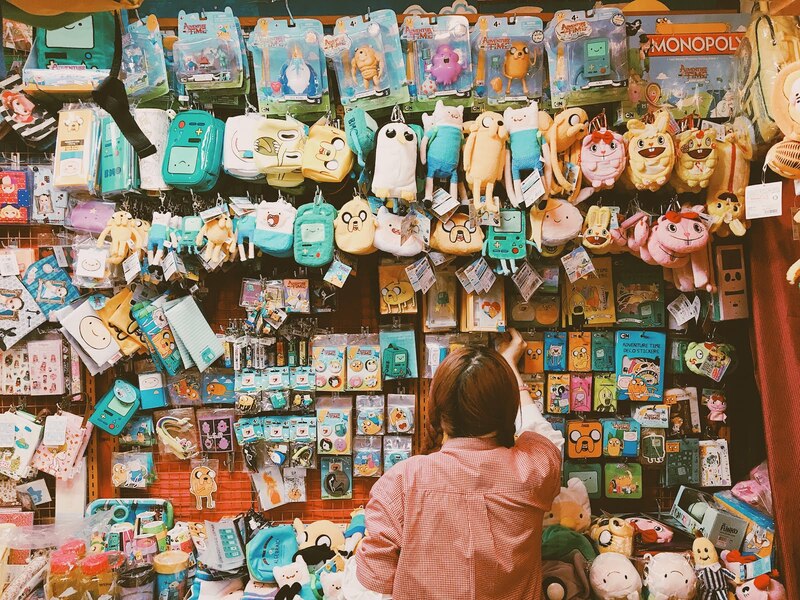 Ever found yourself in last minute souvenir shopping? 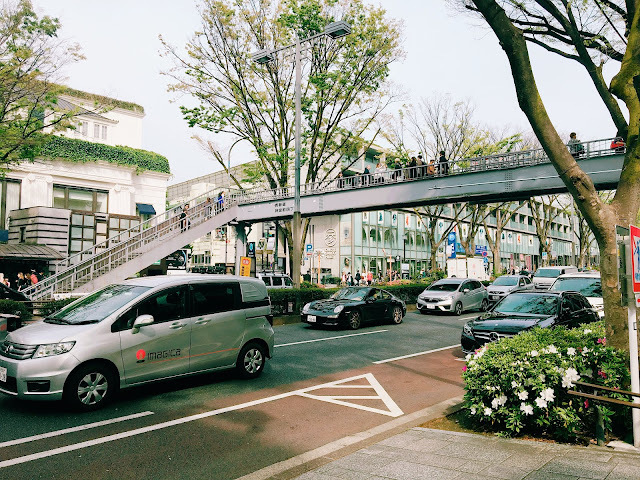 You're in for the treat as the DAISO Harajuku branch has 4 floors (including the basement) filled with unbelievable amount of cute and new discoveries (things like you wouldn't think you need but will buy anyway haha). And being the most tourist-friendly Daiso, signs are available in multiple languages and some staff even speaks English. Also read, Top 5 Places To Shop For Souvenirs in Japan. 5. Relive your childhood, Enter 'The World Connection'! 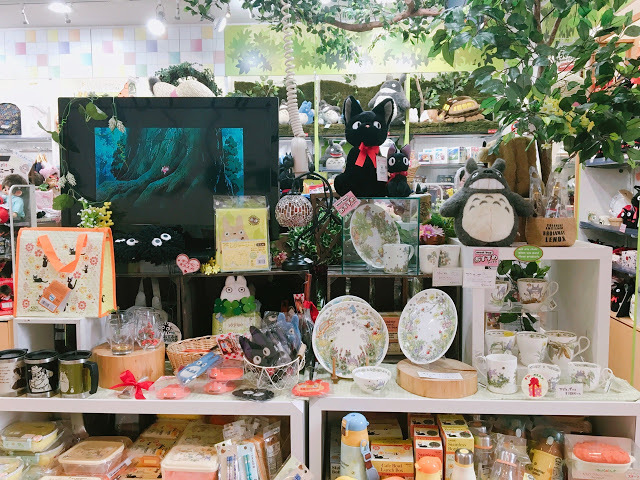 This 3-floor unique quirky souvenir and toy store is one great example of what makes Harajuku an interesting place to go visit! 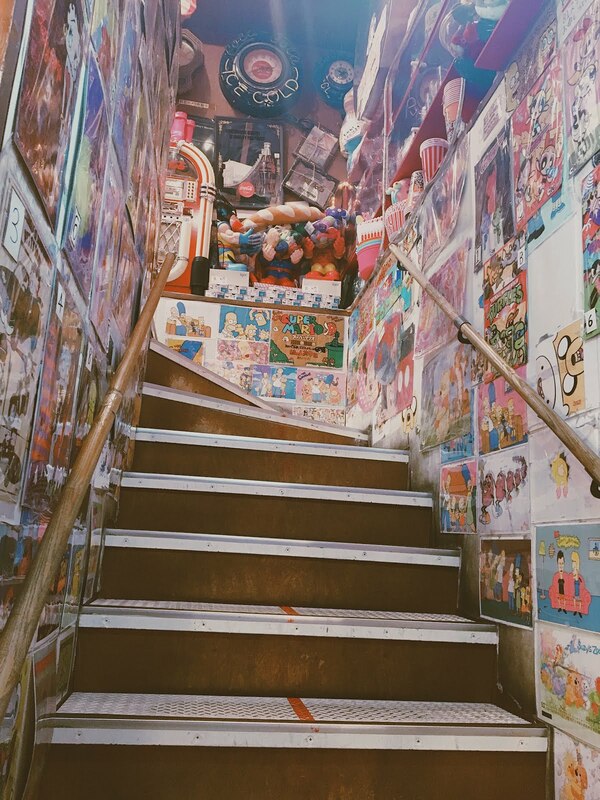 Your Harajuku/Takeshita Street trip won't be complete without a selfie in this famous staircase full of posters, toys, and other memorabilia you can think of from our favorite childhood shows and movies. The World Connection is a must-visit if you love toys and most of all, if you want to bring home something unique and quirky as a souvenir. 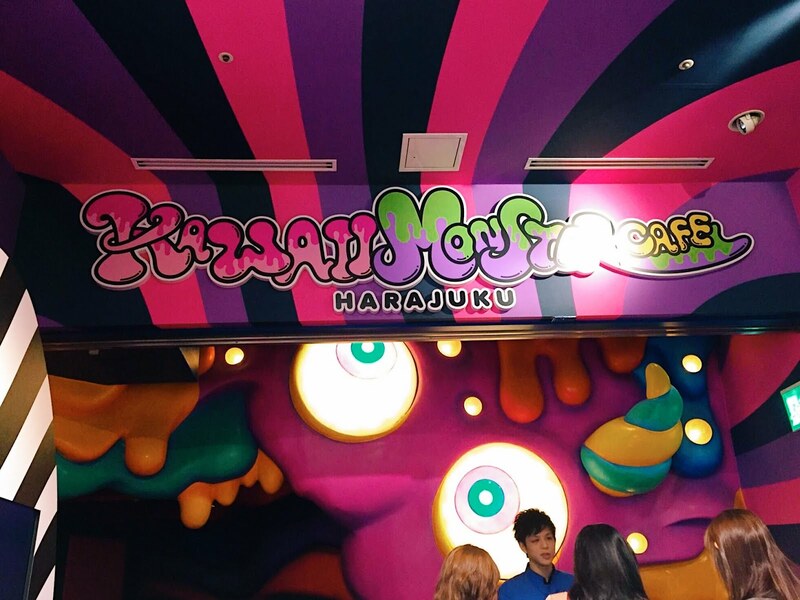 The highlight of our Harajuku trip was our lunch date in Kawaii Monster Cafe, the funkiest, wackiest, insane concept/theme restaurant in town. And it fits just exactly in Harajuku. I LOVE THIS PLACE!!! If you've seen my Instagram stories you would hear me doing insane sounds, squeaking at everything I see! This is not a tourist trap I expected for a theme restaurant, the food is unbelievably good. Also read, Shibuya's Alice in Dancing Land (Alice in Wonderland theme restaurant) and Himeji's Cafe de Miki with Hello Kitty. This restaurant is pure insane (in a good way of course!) that's why it deserves a separate long post which I will do, very very soon! PS: Zedd was in Kawaii Monster Cafe recently (September, 2017). Ariana Grande was also here for Vogue Japan shoot. Obsessed with pink? Visit the newly opened Style Nanda store in Harajuku. 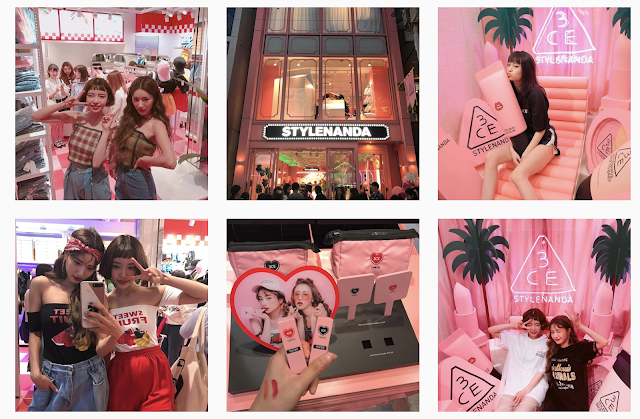 Style Nanda Harajuku branch wasn't opened yet when we visited in April, so I was surprised when I saw a Japanese friend posting a photo with a very familiar, overly cute and pink background in May. 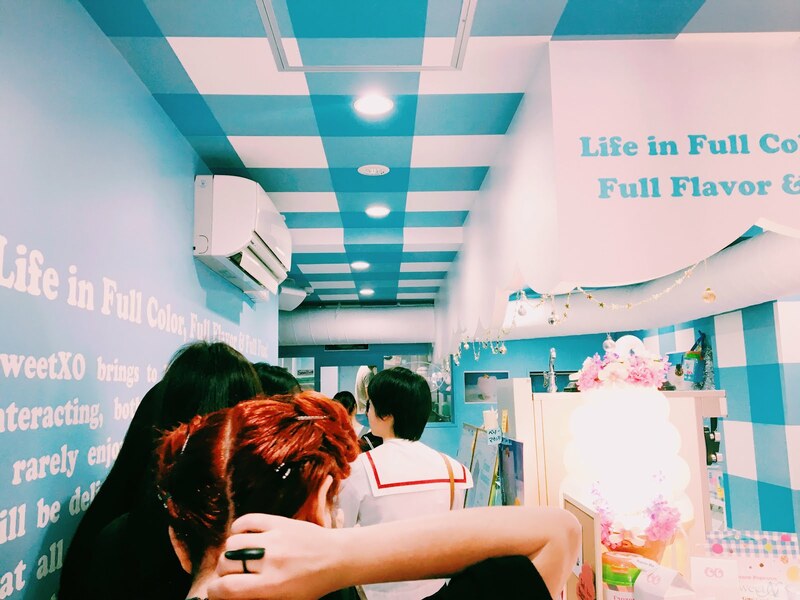 I've been reading blogs 'bout their cute branches in Seoul so I'm just very happy that they're finally here in Japan! Pink, picturesque background + makeup? Can't beat that. 8. 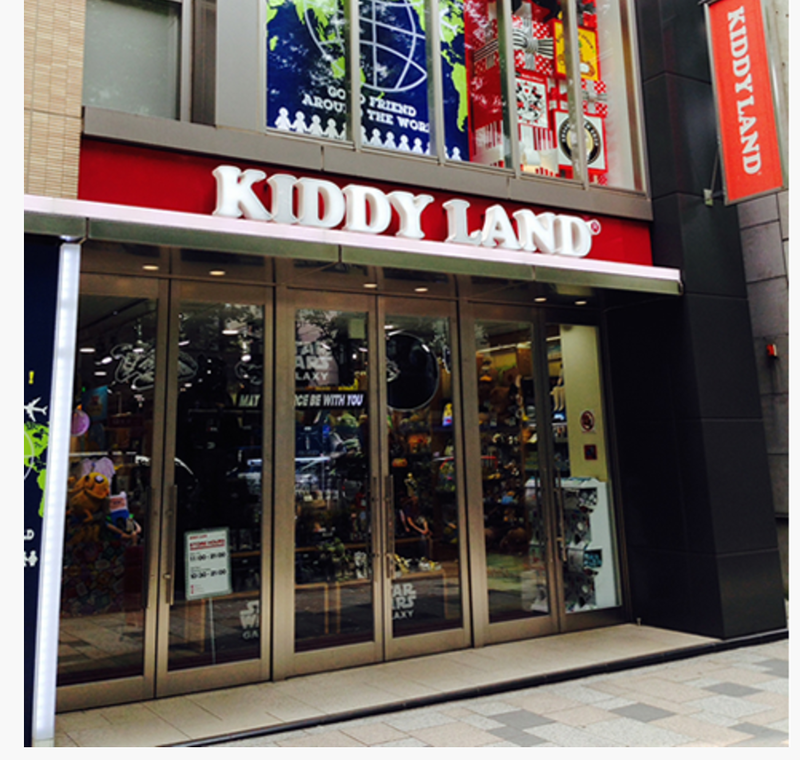 Visit Tokyo's famous toy paradise, KIDDY LAND! Can't get enough of toys? 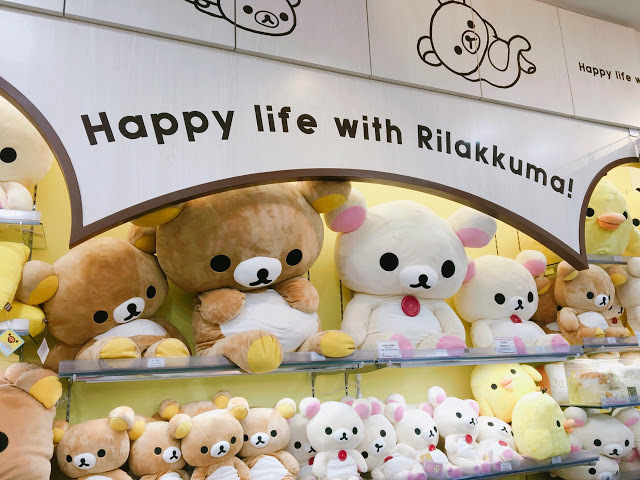 After visiting The World Connection for quirky things, how about a trip to Harajuku's famous 5-floor tall toy paradise. 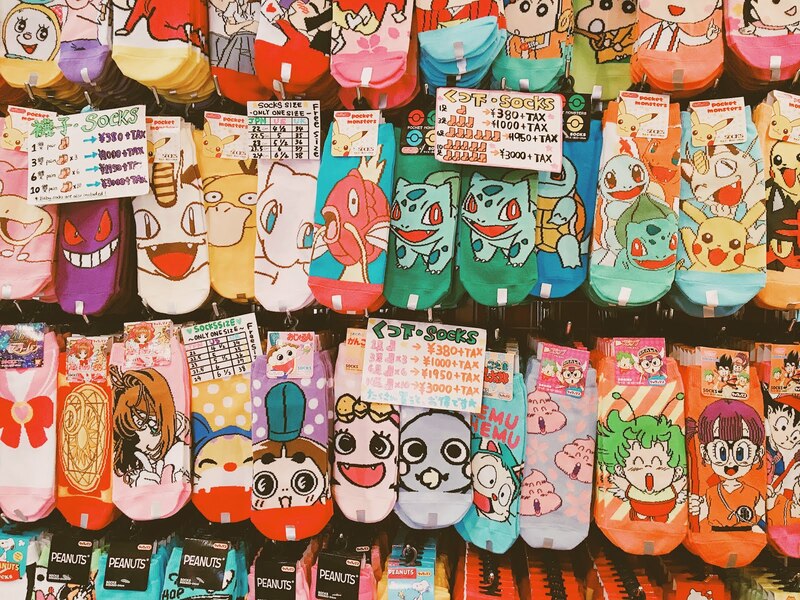 From Studio Ghibli, Pokemon, Doraemon, Pusheen to Hello Kitty, they all sure have it! It's an amazing toy store where Angelina Jolie herself would bring her kids for some toy shopping spree! 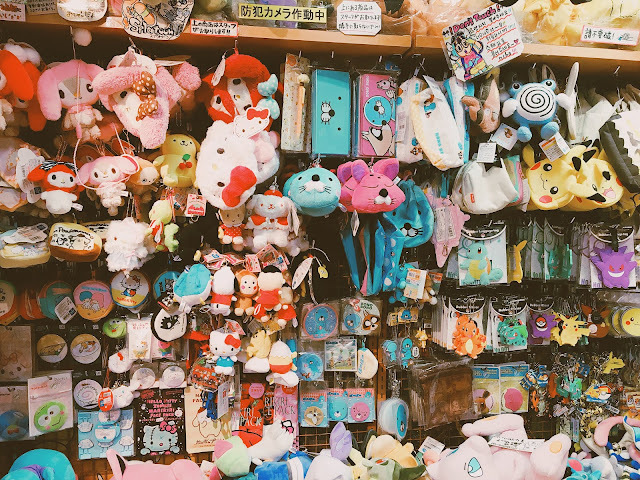 I wrote a separate post about Kiddy Land Harajuku here, check it out! Tokyu Plaza, with its impressive architecture, an urban roof garden and a kaleidoscopic elevated entrance, is a fashion shopping mall in Omotesando Harajuku that you must not miss! 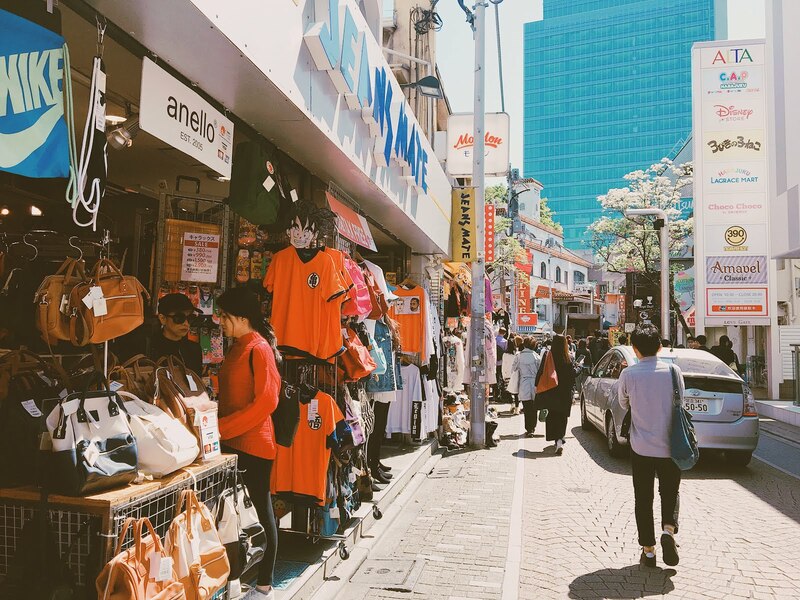 This amazing shopping complex has easily become the home of American Eagle, Jill Stuart, and Tommy Hilfiger and some Japanese fashion brands. Starbucks also maintains a relaxing open space on the roof garden if you're looking for coffee fix. 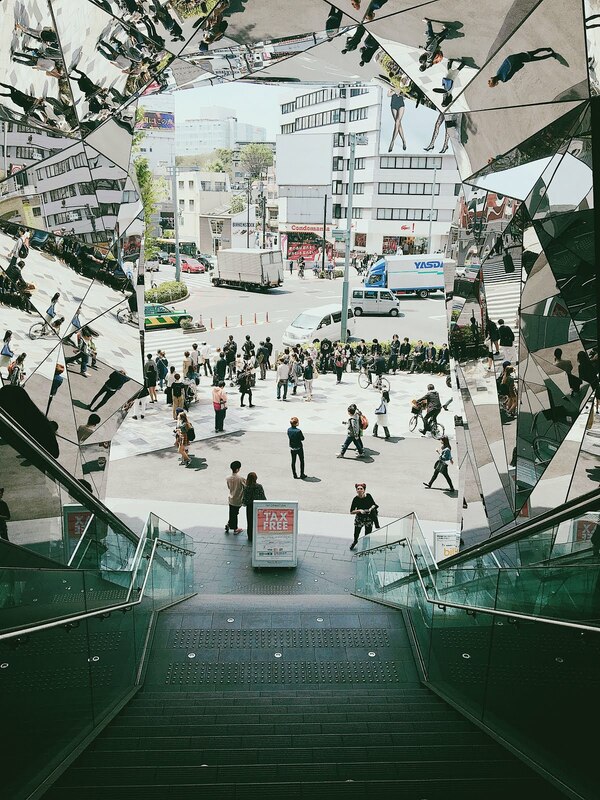 If you're tired with Takeshita Street's energetic vibe, Tokyu Plaza will be right up your alley. 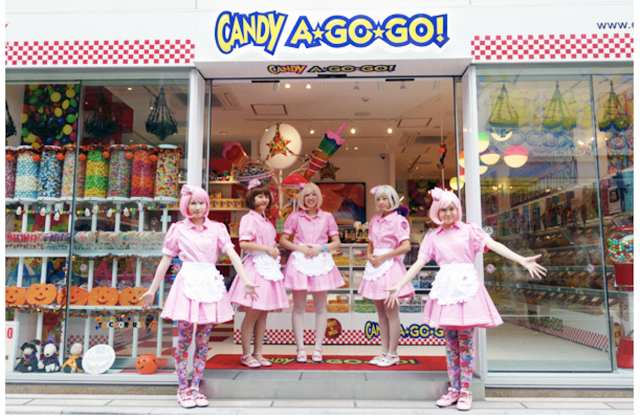 I think we already had too much sweets that day that we only swing by Candy A-Go-Go without buying anything. 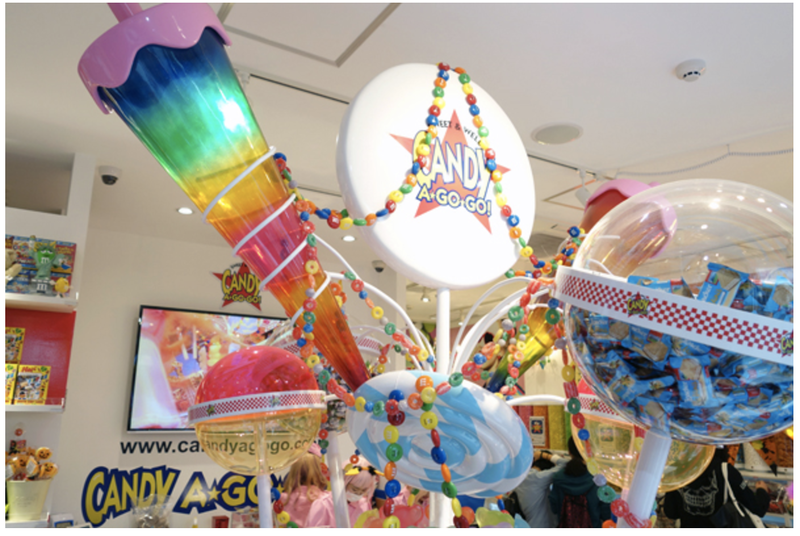 If you're big on candies, gummies, and chocolates then Candy A-Go-Go is absolutely for you! I usually get the question "When's the best time to visit Japan?" 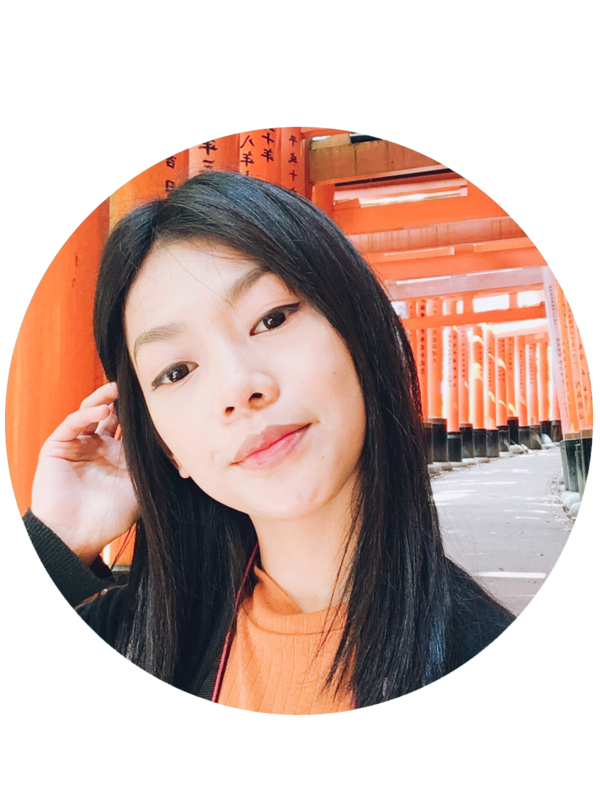 While generally, Spring and Autumn would be the best answer because of the weather and temperature, Japan actually is an amazing year-round destination. 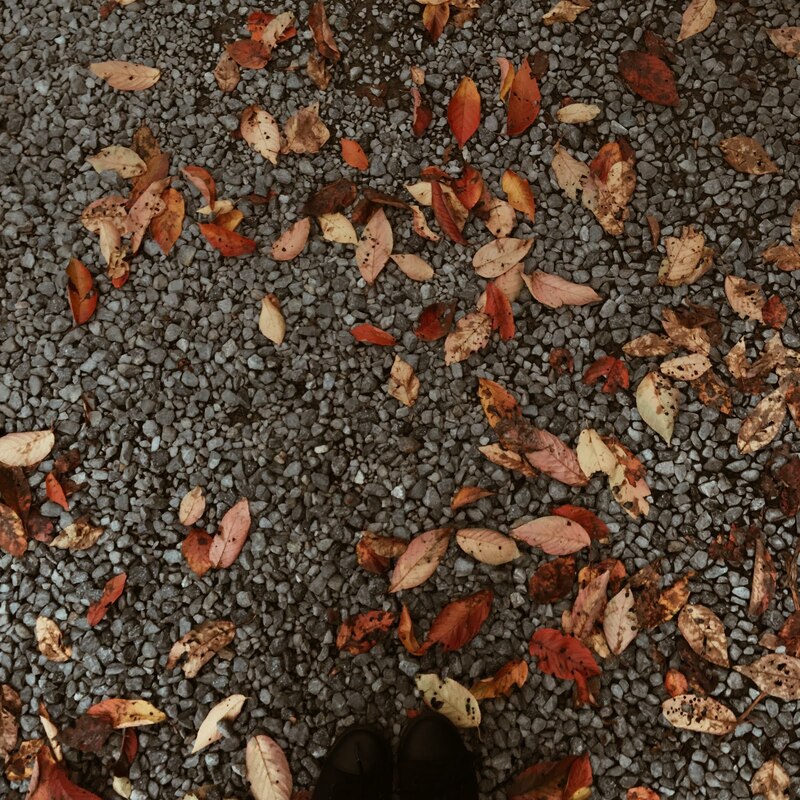 Each season in Japan is amazing on its own and here's why. What I love about traveling during this season is that you'll find fewer tourists both locals and foreigners traveling around Japan. Tourist spots are less crowded and traveling cost can be little bit cheaper because of that. One exception, though, is the New Year's holidays. Days before and during this week can get quite hectic. People are taking vacations, doing last minute shopping (you should shop for fukubukuro too! ), and visiting families. Read: We went in Nagoya Commemorative Museum in December. Weather-wise, I find that winter is still too gloomy and cloudy even during sunny days. The nights feel longer and days are also kind of short as it usually gets dark as early as 17:30. In my opinion, winter can be enjoyable as long as you don't have to stay that long, the dusky sky can be a bit dragging and depressing sometimes. The cold weather can make you want to sleep for like forever. At long last, my favorite season! Besides Autumn, I bet the best season to visit Japan is Spring where there's little rainfall, the temperature is perfect (not so cold but not so hot either); and most of all, the ethereal beauty of pink Sakura flowers blooming against the blue, calm sky is definitely an experience. A life-changing one, I must say. They say that for the Japanese, Cherry blossoms is a visual reminder that are lives are too fleeting. 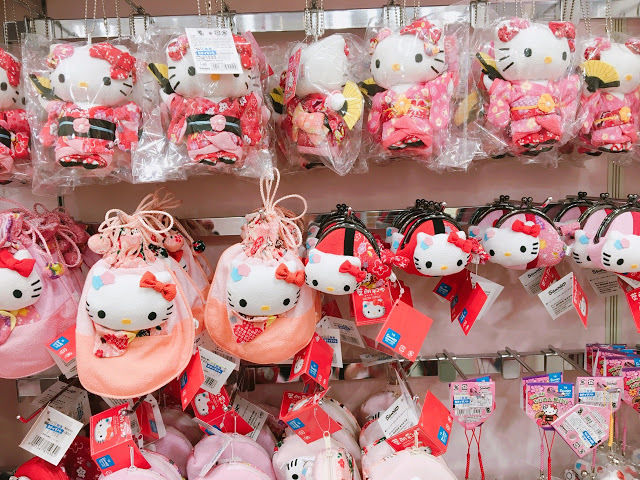 Also, one must take advantage of the limited edition cherry blossom-themed goods that are only sold during this season. 🌸 Sakura Kitkats and Pockys, Sakura drinks from Starbucks and Mcdonalds, and a whole lot more! 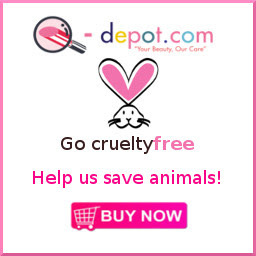 Sometimes even makeup, soap, shampoo, moisturizer, and whatnots come in limited sakura packaging during this season. Undeniably cute + limited edition, who can't say no to that? The catch: Since it's the flower season, there's a high amount of pollen everywhere. People with asthma and/or sensitive nose can be (more or less) allergic to pollen just like me. During Spring, my eyes get too watery and itchy, I also sneeze a lot and my runny nose just doesn't get better no matter what. But pollen allergy can't stop me from making the most out of this amazing season, here are the proofs! 🌸 Why You Must Experience Tokyo Disneyland At Least Once In Your Life! 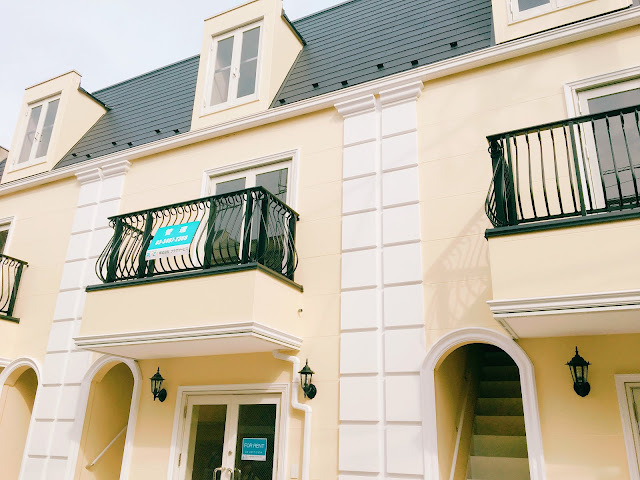 🌸 Minion Park Just Opened in Universal Studios Japan This April! Summer, how do I start with summer? Growing up in a tropical country made me feel different about warmer season. While most Japanese love Summer (second to Spring), I personally do not like this season. Summer in Japan is scorching hot, people easily get tanned (obviously) and some people get rushed to hospitals due to heat stroke. You have no idea how many trips I cancelled due to the heat. There are also rain showers especially on the month of June. Extreme heat + surprise rain showers, really bad combination. On the brighter side, it's also the most lively season of the year. Kids playing outdoor, family and friendly outings, summer bootcamps and events, parades and Summer festivals are happening all over Japan during this season. Kyoto's famous GION MATSURI (festival) happens during this season too. Just take note that travel activity in airports and train stations are high during the month of August due to Obon Holiday and students' summer break. Read: Hydrangea flowers are a must-see during this season. 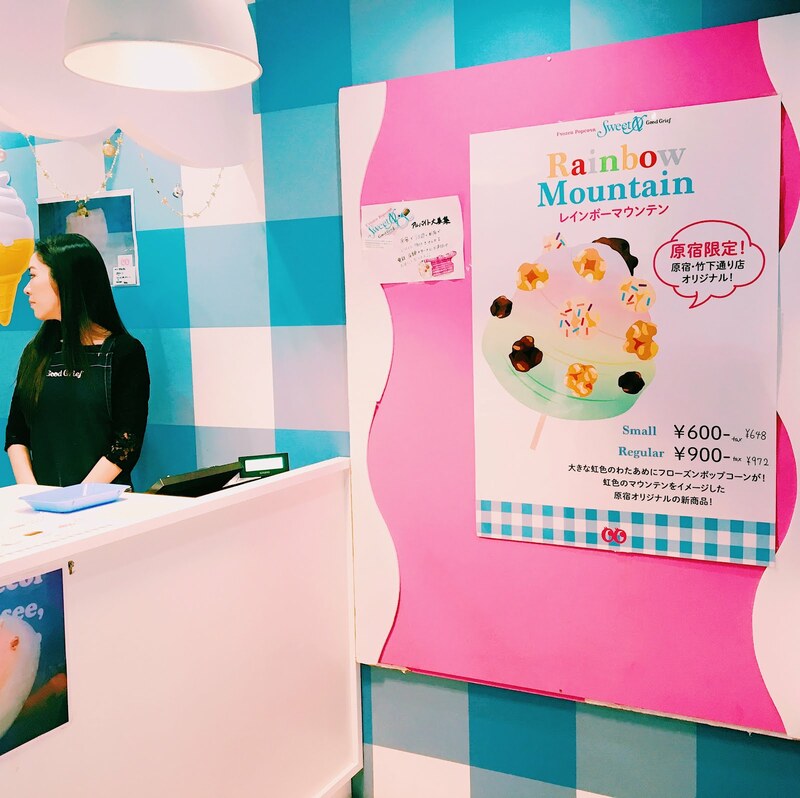 Must Try: kakigori (shaved ice sundae / Japan's version of 'halo halo' dessert). 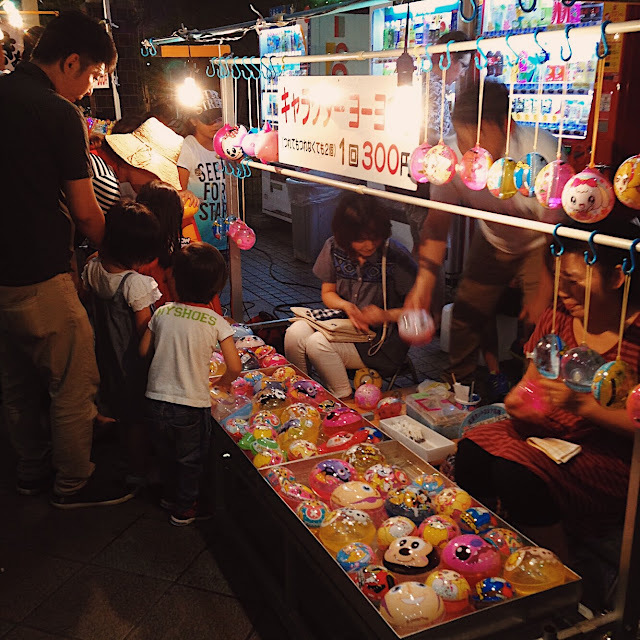 Challenge yourself with the 'goldfish catching game' during Summer festivals (wherein your scooper's net is made only of a thin piece of paper). If you catch the fish without tearing the thin paper, you win! 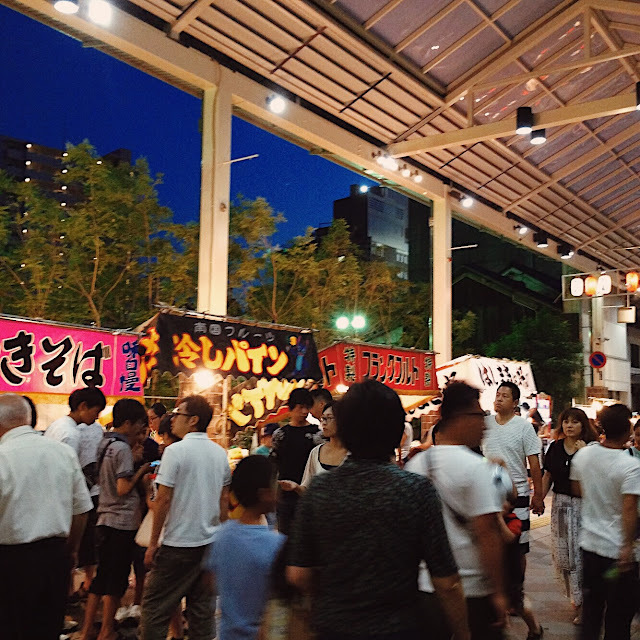 Holidays to avoid: Obon Holiday (a Buddhist custom of honoring spirits of one's ancestors. *Western equivalent of All Soul's Day). See 10 Things You Need to Know When Traveling to Japan. If not for my pollen allergy, Spring has got to be my ultimate favorite season ever, not. I still feel like Autumn really deserves a very special spot as it is the season that I can truly identify myself with. It can get a little bit dark but not as bleak as Winter. Its leaves are visually stunning but not as loud as Spring flowers. It's just there, in between Summer and Winter. 🍂 Plus, September is my birth month! The best month to see Japan's finest Autumn foliage is during November. And where's the best place to visit? Of course, none other than the 'City of ten thousand shrines' KYOTO. I have yet to experience Autumn in Kyoto but part of my bucket list includes Tofukuji, Arashiyama, and Kiyomizudera. 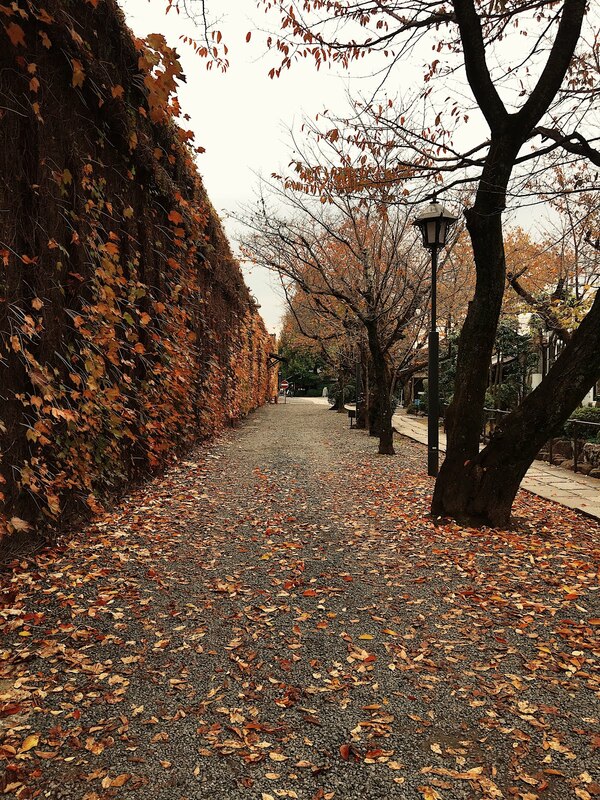 I went on an Autumn adventure in Hiroshima November 3rd (Culture day, holiday) last year. 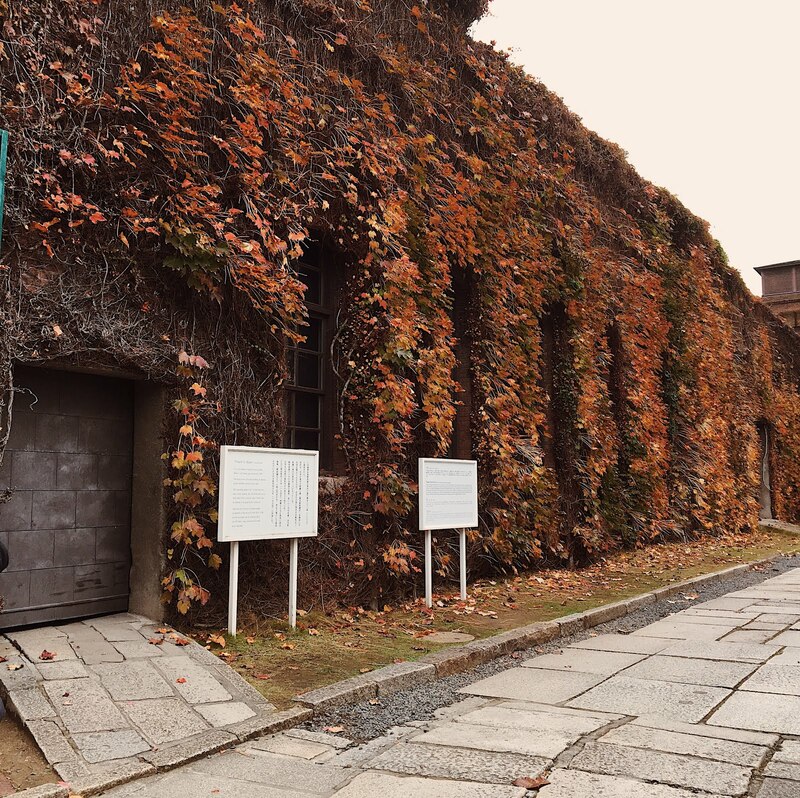 The Culture day celebration allowed me to enter castle and museums free of charge. Tourists usually come in Shibuya, Tokyo Disneyland, Universal Studios during Halloween. I've yet to experience wearing costume (cosplay) while crossing Shibuya but it's definitely on my list. Looking for accommodation in Japan? 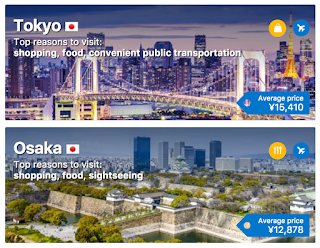 Use booking.com and they'll reward us both with ¥1,800 gift! 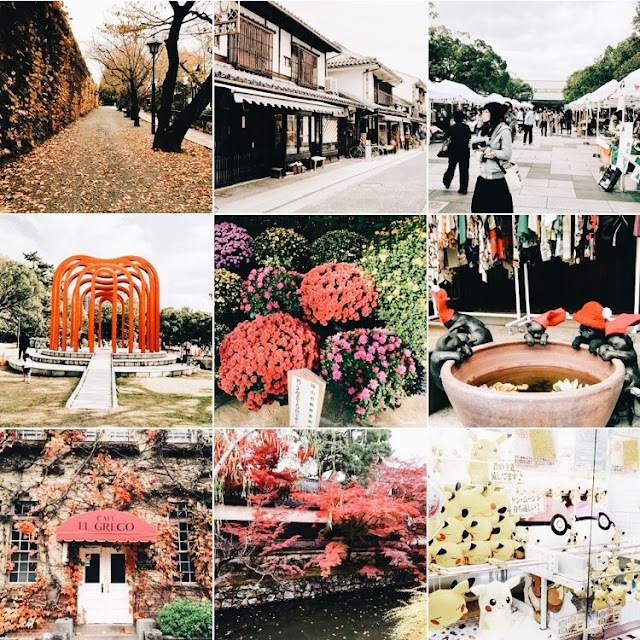 Don't forget to also follow @_nekonekobit on Instagram for more Japan travel updates. How about you? When do you plan to visit Japan? Is Spring/Autumn your favorite season too?